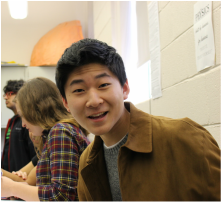 Wilton Wu, one of your co-chairs, is a senior at Maggie Walker. This is Wilton’s fourth, and last, year participating in GSMUN, serving as a crisis staffer, vice-chair, and chair over the last three years. As the UNSC chair of GSMUN last year, Wilton is excited to continue the legacy of GSMUN’s United Nations Security Council. Outside of MUN, Wilton plays tennis for the school tennis team, participates in various honor societies, and enjoys competitive Words with Friends and Scramble with Friends. 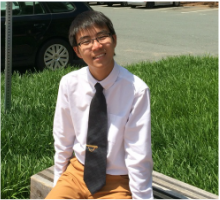 Derrick Wang, your other co-chair, is a junior at MLWGS and has had a deep love of Model UN ever since his first conference in 7th grade, GSMUN XIV. Since then, he's attended every GSMUN, as either a delegate or as a member of the staff, serving on the dais of the 1976 Chinese Communist Party last year. However, Derrick has also attended conferences at colleges, such as VAMUN at UVA and WMHSMUN at William & Mary. In the little time he has not consumed by schoolwork, Derrick enjoys reading and hanging out with his friends. This year, Derrick looks forward to chairing UNSC with all of its exciting new twists! Your starting point in being a member of the UN Security Council at GSMUN is writing a position paper. Information on how to write a position paper can be found at gsmun.net/delegateresources. This is to be emailed to the dais before the conference or turned in physically at the first committee session. Without a position paper you cannot be considered for awards. Keep in mind that your position paper must be your own work; plagiarism is unacceptable and will result in disciplinary actions from the Secretariat. Despite all of this, we want you to know that the Security Council’s role at GSMUN has been vamped up this year. We now have the power to make decisions for other committees at GSMUN who need Security Council approval. We suggest that you look at the topics of the General Assemblies for this year to familiarize yourself with them if you have time; committee will be a lot more effective! While GSMUN may seem intimidating, we want you to realize that the important thing is not how often you speak or how well you sell your ideas, but the quality and specificity of your ideas. Ultimately, we want you to give your best effort. This is what’s going to make the committee fun and enjoyable for not only us, but also you. We hope that all of you will dive into debate the moment committee begins. We’re also looking forward to hear your creative solutions to some of the world’s most controversial and crucial issues. Can’t wait to see all of you in March! Derrick Wang is a junior at MLWGS and has had a deep love of Model UN ever since his first conference in 7th grade, GSMUN XIV. Since then, he's attended every GSMUN, as either a delegate or as a member of the staff, serving on the dais of the 1976 Chinese Communist Party last year. However, Derrick has also attended conferences at colleges, such as VAMUN at UVA and WMHSMUN at William & Mary. In the little time he has not consumed by schoolwork, Derrick enjoys reading and hanging out with his friends. This year, Derrick looks forward to chairing UNSC, with all of its exciting new twists! Hi! My name is Wilton. I was made in Vancouver, but now I live here! My parents are Chinese, but my world speaks English. As a result, I am alingual. I like flip flops because my feet are claustrophobic. Model UN is my favorite club. I also play tennis and watch the news. My favorite class is math and my little brother's name is Daniel. It makes me sad, but he is really cooler than me and I think he may take my place as eldest son. I will tiger mom you all in to great shape. Get excited!